Anyone with the important responsibility of running a school will quickly learn that school buildings have different requirements to other buildings. They see a greater number of feet passing over them on a daily basis than most floors do, and they are in a setting which is not only important to the people walking on them every day, but to the whole of society – after all, school children are our future! We can work with your school or college to provide quality school flooring which will last and remain a delight – not a distraction. We provide an excellent 10 year warranty for our school and college flooring, giving you the peace of mind that you will not have to worry about flooring for a number of years to come, and you can focus on what matters more: providing an excellent education for the nation’s youth. With our warranty, you can be absolutely certain that you are getting great value for money when you buy a floor from us. Whether you are a head teacher or on a school’s board of governors, if your school is in need of new flooring, give us a call today to talk about how we can provide flooring with great acoustic properties which will look great and last for years to come! If you want to ask a question or get a floor painting quote, please call us on 0800 009 6910 or fill in the form below. No matter how careful your pupils and teachers are, accidents happen – and in classrooms which are full all day every day of children and young people, these inevitable accidents can be messy! Our floors for schools and colleges are easy to clean and will resist damage due to mess. This makes life easier for your employees who have to clean up the mess at the end of the day, and makes the environment more pleasant for staff and students as they can enjoy clean, good quality flooring on a daily basis for years to come. School children and college students are not known for their quietness, and the stamping of feet and sounds of shouting from above can be a major distraction in the classroom below. 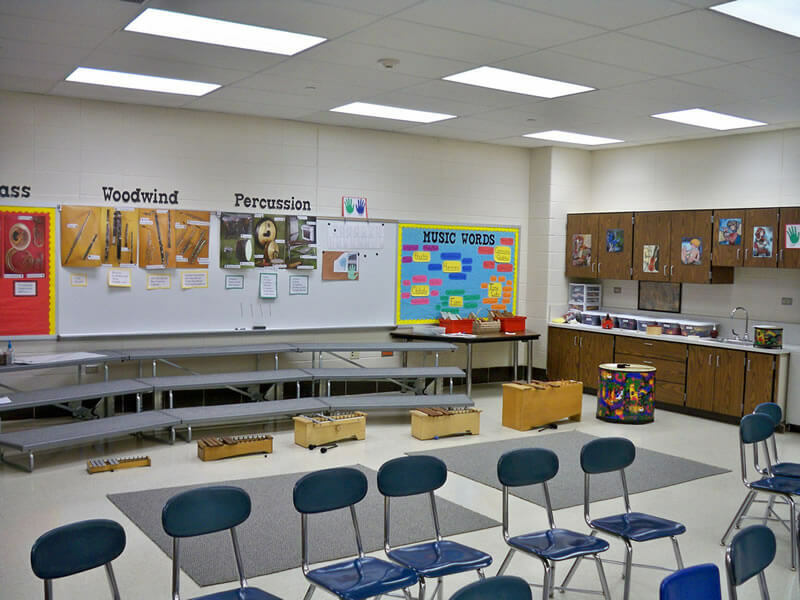 By installing school and college flooring with good soundproofing properties, this effect can be seriously mitigated. This makes your school a more pleasant environment for all who work and study in it, and will improve the school’s results as students will be able to focus better. This also means that your kids can have fun in the classroom without worrying about jeopardising the learning of their friends in the classroom downstairs! Copyright © 2001–2015 FlowStone Industrial Flooring Ltd. All rights reserved.